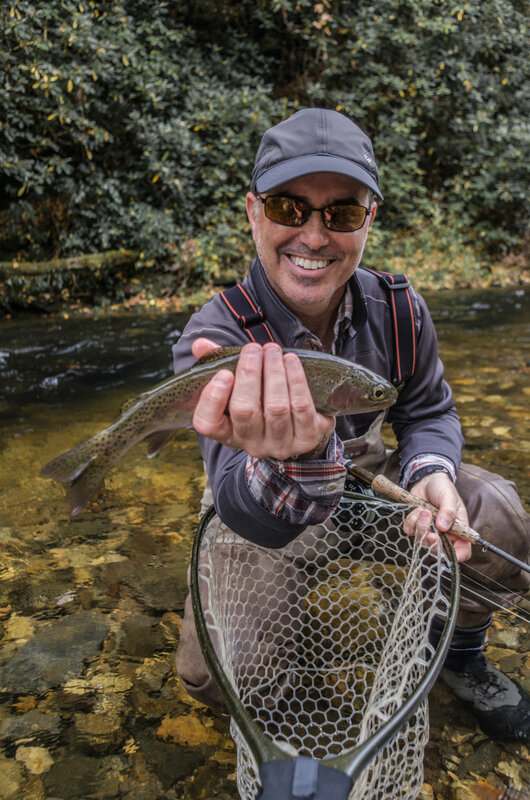 Half day wade trips are for one or two persons and include all rods, reels, waders, flies, leaders, tippets, and instruction. Drinking water is also provided. 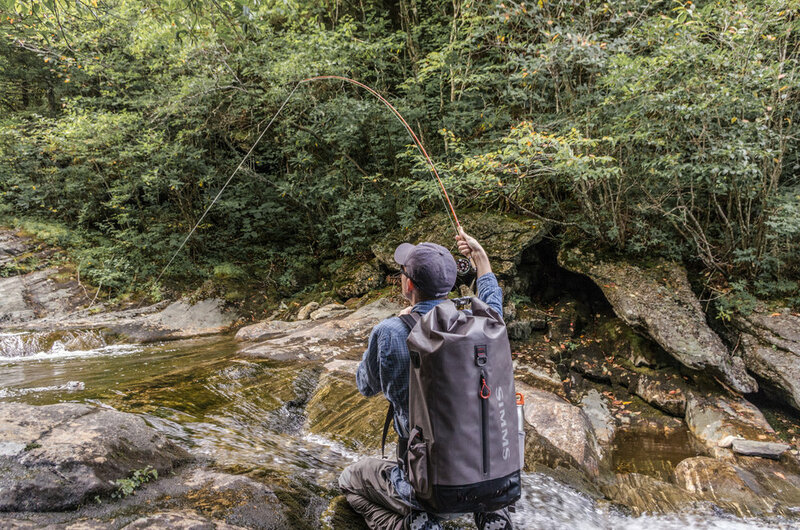 Trips begin at optimal times for fishing. During the early spring months this may be between around 9 or 10 a.m. or as late as 2 p.m. By early summer/late spring most morning trips will start around 7 or 8 a.m. , afternoon trips around 1 or 2 p.m. and evening trips around 4 or 5 p.m. 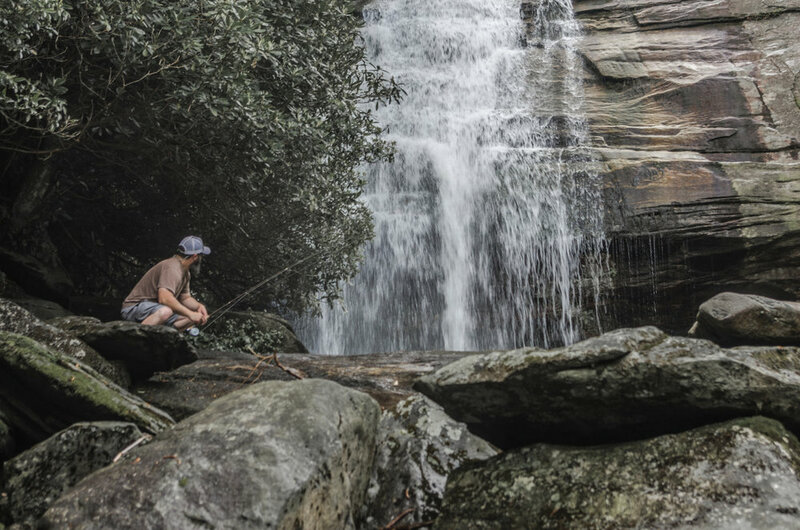 In mid summer fishing for trout late in the morning or afternoon is usually unproductive and puts a lot of stress on the fish unless there has been a significant rain event. 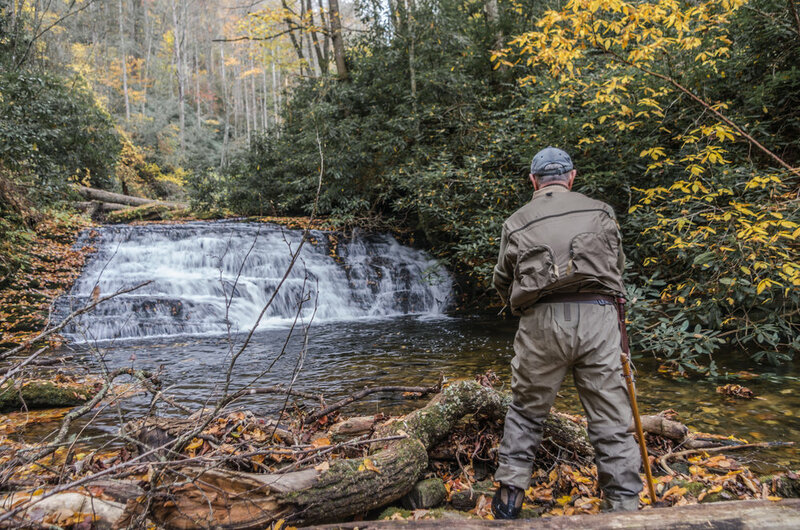 At this time of year Pisgah Outdoors recommends starting early, fishing at high elevations or opting for a float trip for smallmouth. 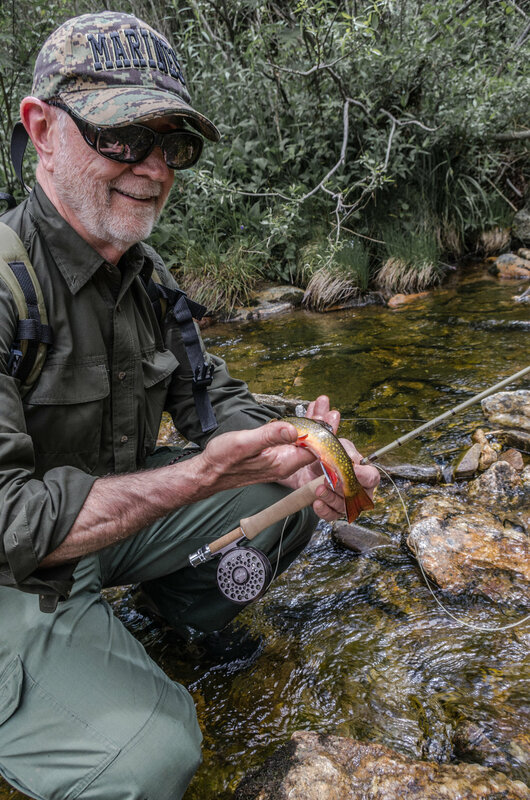 Full day wade trips are for one or two persons and include all rods, reels, flies, leaders, tippet, and instruction. Drinking water is provided and a small lunch is also provided. If you have dietary requirements or food allergies we suggest bringing your own lunch. 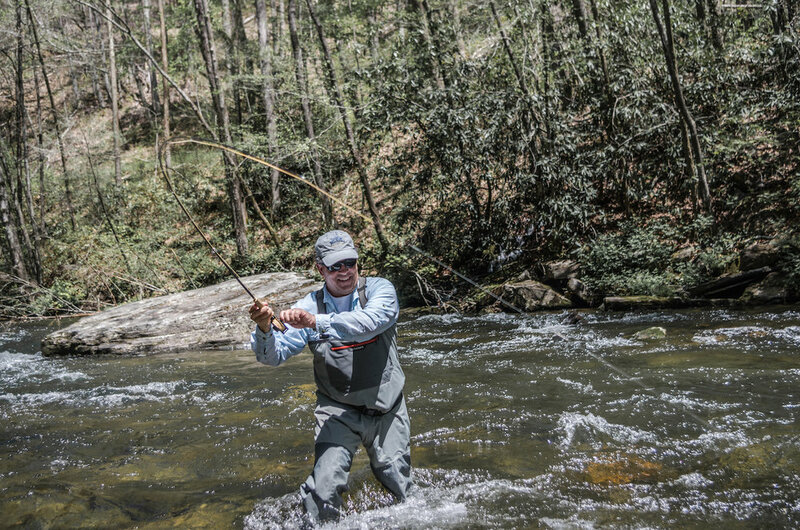 If eating a stream side PB&J sandwich and getting back to the fishing is your style then you are covered. 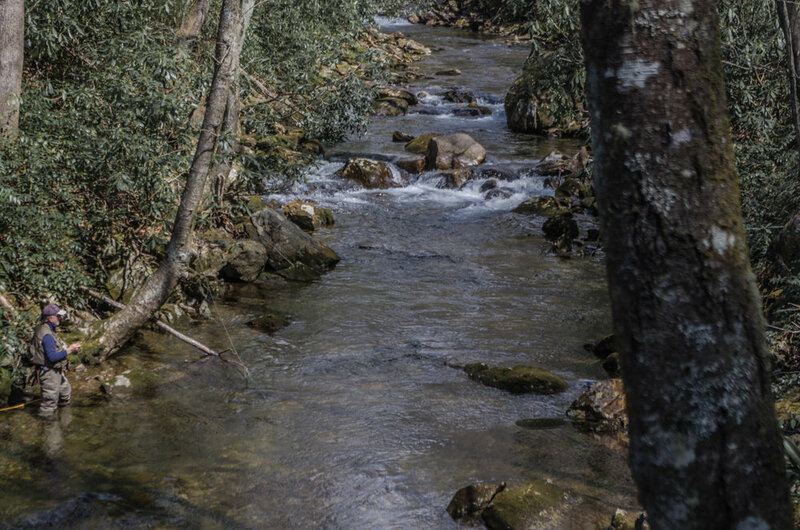 Early spring trips will usually run from 9 a.m. to 5 p.m. Late spring trips start between 6 and 8 a.m., they may also start around 1 p.m. and go till dark depending on weather and bugs. Summer fishing, being weather dependent, may start as early as 5 a.m. , as late as 9 a.m. or a float for smallmouth may be a better option. Fall switches back to fishing 9 to 5.